Conference will begin with pre-conference session on Saturday, July 21 with the opening reception that evening. The opening day keynote is the morning of Sunday, July 22. Conference sessions end at 5 p.m. on Tuesday, July 24 with several post-conference sessions and tours on Wednesday, July 25. More program details coming soon but reserve rooms at the host hotel, the Hyatt Regency Minneapolis. A student housing option is being confirmed. 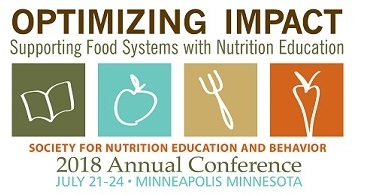 With such a pressing need today for great nutrition education, alongside accessible and affordable healthy food, how are federal, state, and local governments responding? To answer this, the Tisch Food Center just launched a series of “Empowered Eaters” reports. This webinar details the landscape of public policy and investment in nutrition education, using New York as a case study. 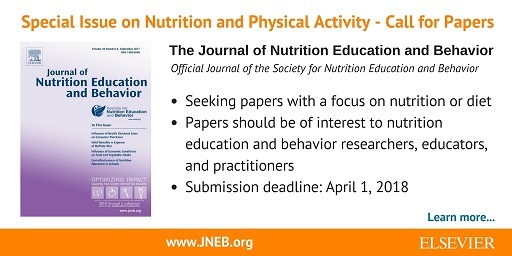 The reports provide a road map to strengthen the complex public systems that currently support nutrition education. To examine the strategies and behaviors caregivers use to manage the household food supply when their children experience food insecurity as measured by the US Department of Agriculture's Household Food Security Survey Module. Manage Webinar for "Extension Opportunities in Food Access & Equity, Two Part Series"
Watch for a job board announcement coming Feb. 1 with expanded features, ability to post internships at no cost, resume service, and more! FNIC's Historical Dietary Guidance Digital Collection has a new look!